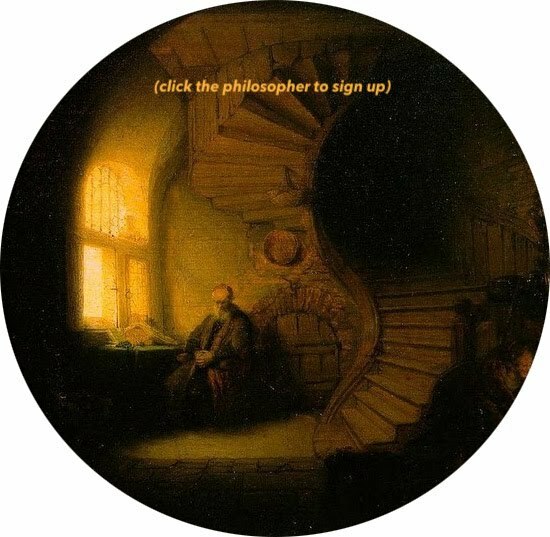 It occurred to me that this was the sort of thing that would appeal to people outside of my specialist field of early modern history, and I began writing a blog post about it for the journal I co-edit, The Appendix. Reading over my draft, my co-editor Chris brought up something that I'd taken for granted: like any seventeenth-century book, the text employed what's called the 'long' or 'descending' S.
"If this has the reach I think it might," he said, "you need to explain that." I initially thought the suggestion was slightly condescending to my readers: doesn't everyone know about the old-timey S? 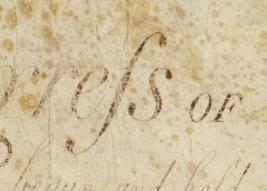 Its right there in the first line of the Bill of Rights, after all. Then I snapped out of it and realized that I was falling into the myopia typical of anyone who spends a long time in a specialist field. Like a biologist assuming that laypeople would know what hemoglobin is, I was forgetting that not everyone spends their days reading early modern texts. I put in an explanation of the S/F distinction, and the post got picked up by Slate and Jezebel - where a significant proportion of the comments were about how hard it was to read the old-fashioned writing. The script and language here is not all that different from modern English. The key differences are in the punctuation (early modern English, like modern German, tended to capitalize proper nouns), and also in certain contractions which are unused today, like "convey'd." As a side note, I kept this snippet on hand because it contains a rare reference to an impostor named George Psalmanazar, who I just published an article about. 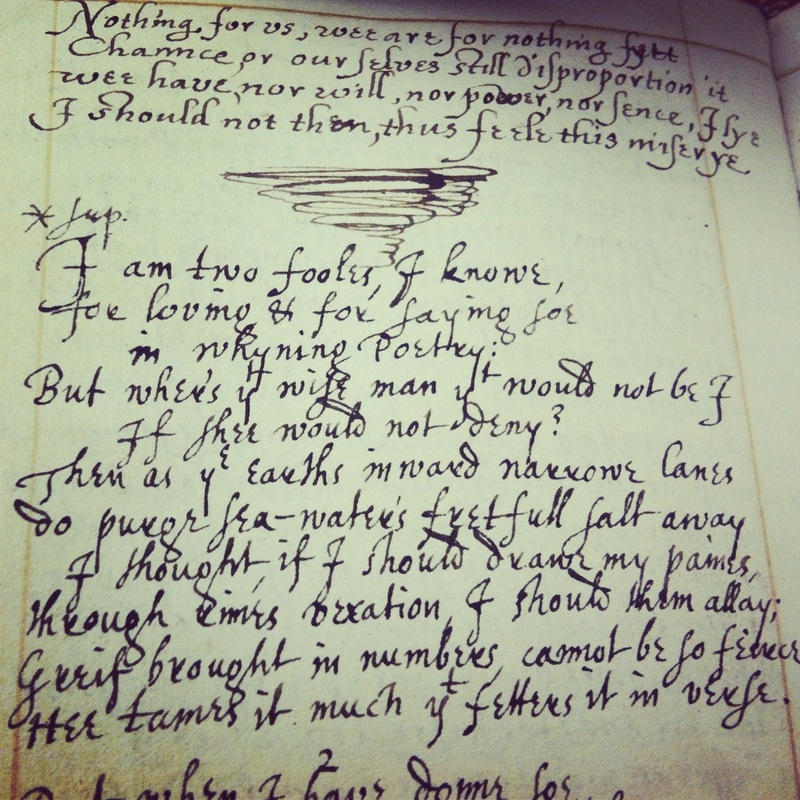 A contemporary copy of Donne's great poem "The Triple Fool." Via the Huntington Library, San Marino, CA. Now lets move on to some truly difficult paleography. 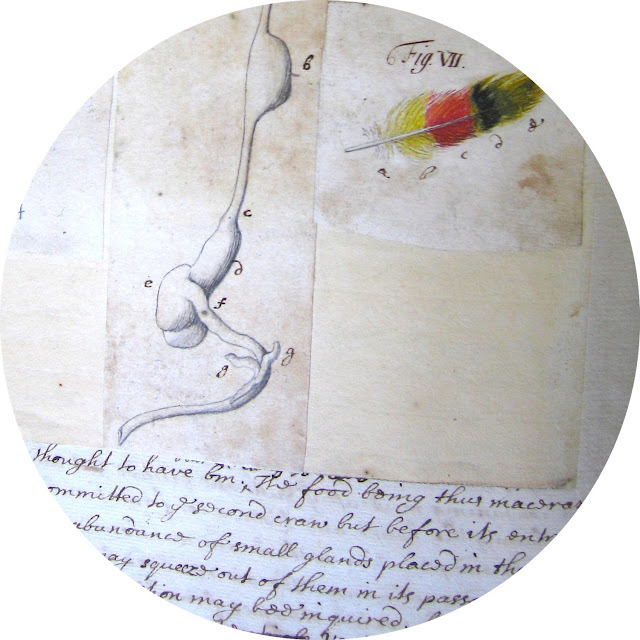 This is a photograph I took of a book at the John Carter Brown Library called The Sea Surgeon, or the Guinea-Mans Vade Mecum (1729). 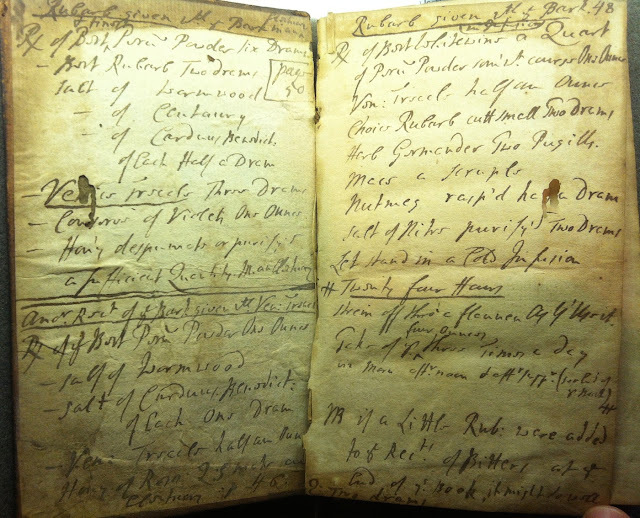 The inside flaps of this copy of the book feature some fascinating notes by an actual practicing marine surgeon who was trying out various cures for scurvy, plague and fevers found in the book. He used a handwriting that was marked by his profession, featuring a number of abbreviations that it took me some time to puzzle out. I'd say this is fairly advanced-level paleography - although I should add that compared to my colleagues who work on things like sixteenth-century French or Scottish witchcraft trials, reading this is absolute child's play. 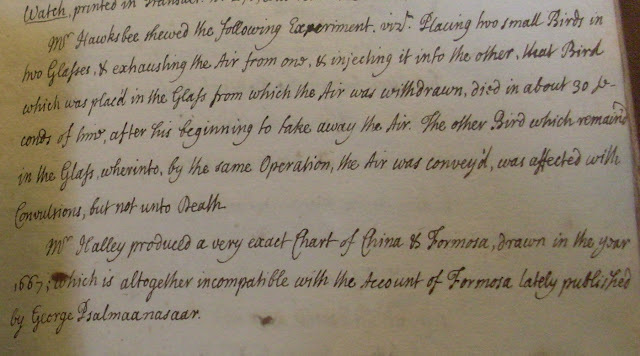 Inscriptions in the John Carter Brown Library's copy of John Aubrey's The Sea Surgeon (1729). At upper right, we find the heading "Rubarb given wt. ye Bark," which is to say "Rhubarb given with the [Peruvian] Bark." (Known primarily to modern eaters for its famed pie-partnership with strawberries, rhubarb was actually a highly prized and expensive medicine in this period.) Below the heading we find a list of ingredients supplied to a sick sailor, beginning with the still-familiar "Rx" prescription symbol: "[Prescription] of Bark Peru[viana] Powder lix  drams." The surgeon then lists "Salt of Wormwood, Salt of Centaury, Salt of Carduus Benedict[us], of Each Half a Dram." Of the ingredients of this witches brew, the most familiar to modern readers is probably wormwood, the possibly intoxicating herb which makes absinthe so infamous. There's a good amount of shorthand being used here, of the sort that a doctor or apothecary would use in jotting notes to others in the field. But in fact this is a fairly easy to read example of how early modern apothecaries wrote - I've seen much, much worse, and there are countless pages of documents which even after five years of training, I'm still unable to read. With practice and patience, though, virtually anything is readable. 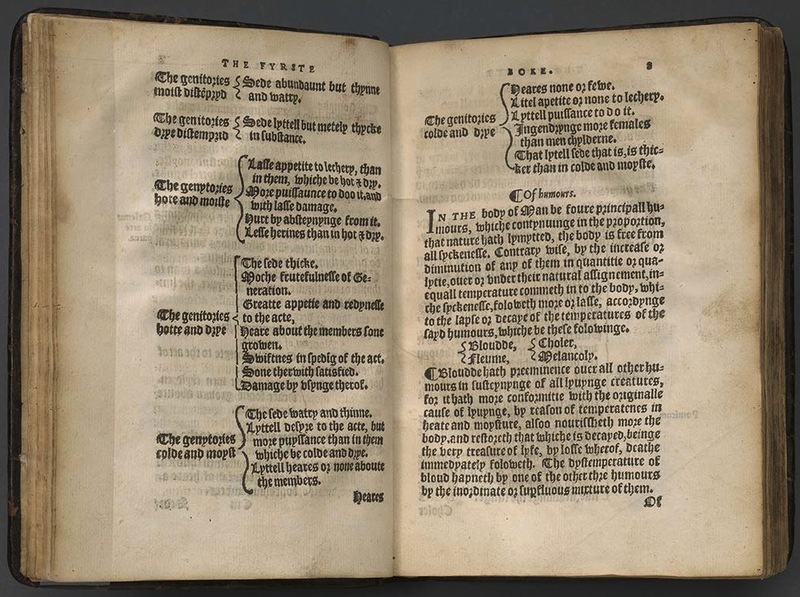 At any rate, I hope this brief and idiosyncratic overview to reading early modern texts has been helpful, and above all, I hope it spurs some further interest in the fascinating works out there, waiting for readers. 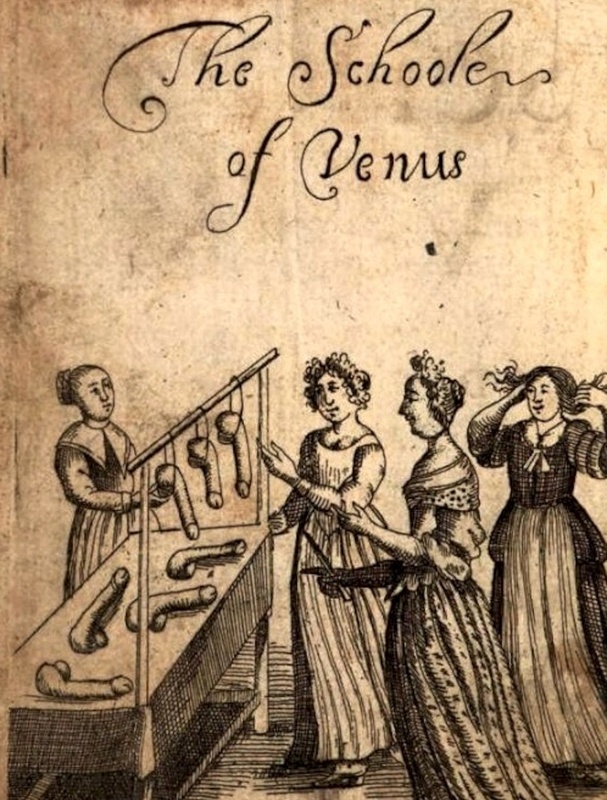 Not everything from the 17th and 18th centuries is as immediately engaging as The School of Venus, but there are a lot of untapped riches out there. I spent a lot of time looking for a simple explanation of the descending s. After failing in that endeavor, I googled it. Thank you for the valuable search term, however. Thank you for an informative and well-done article. As a side issue, can you tell me whether the use of the sigma and word-final sigma also derived from the Roman practice? That's a good question, anonymous. 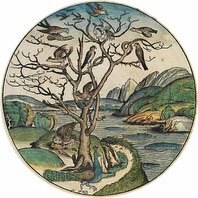 I have to admit to going to relying on Wikipedia for this, so take it with a grain of salt, but it would appear that practices around when and where to use the long s evolved during the Carolingian period: in the 8th century, (says WIkipedia) "it was occasionally used at the end of a word, a practice which quickly died out but was occasionally revived in Italian printing between about 1465 and 1480. Thus the general rule that the long 's' never occurred at the end of a word is not strictly correct." All right. I appreciate the trouble you went to. Great post! Just found your site today. I really appreciate an in-depth and informational style of posting, here. Sidenote: If it's handwritten/calligraphy it's not called a font. 'Style' or 'Hand' are better words. Font takes the meaning of the description from writing (individualistic according to personal style) into typesetting (automated and reproducible).